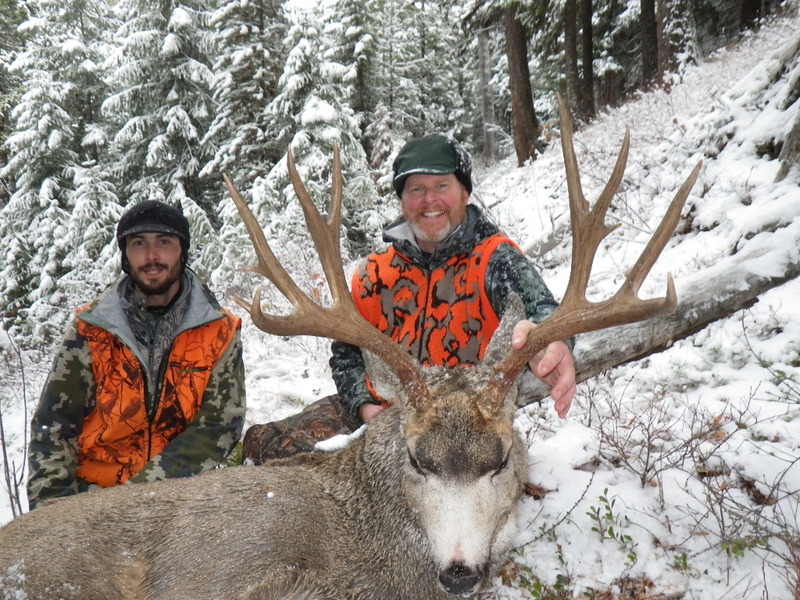 Hunting big mountain mule deer bucks in the rut is a great hunt to consider. Being able to hunt these deer during the rut with a rifle gives our clients and amazing edge to harvest a nice mature Mule deer buck. Our Mule deer are big bodied, heavy antlered and are deep forked. Occasionally we will harvest bucks with some non-typical points. These big old deer will hang out in the alpine basins and dark timber until the rut starts (first two weeks of November) and then once those does come into heat there is nothing that will keep them away from their does. This is an exciting hunt to chase one of the most sought after big game animals in North America. We hunt these bucks primarily by spot and stalk, watching over food sources and glassing from long distances. Remember your tag is good for either a Mule deer buck or a Whitetail buck as our area has both species of deer. 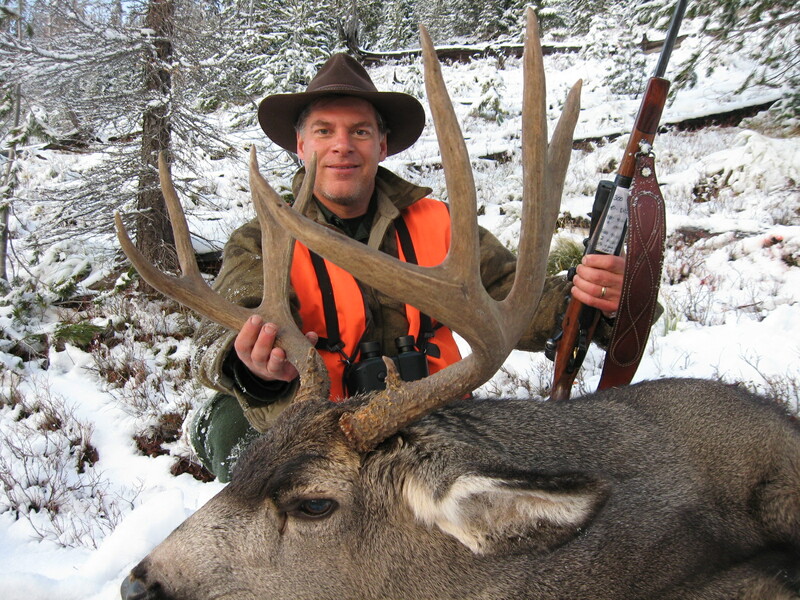 Most of our clients make their hunts a combo hunt for both elk and deer.